The server location is significant, and it plays a prominent role as for how fast do web pages and blogs upload once the company site link is clicked. The server location is also one of the many factors Google takes into account when trying to establish website relevancy for specific country or market. It is best for visitors in the neighboring cities and states for they will have access to the content faster. In the offering are shared, reseller or virtual private server plans. Atlanta urban area is eighth-largest economy in USA and 17th-largest in the world. 24/7 support via email, live chat, phone and help desk and uptime guarantee. Web hosting cost starts from $ 5.95 whereas Reseller Hosting and Virtual Servers cost $ 25.95 and $ 71.50 per month respectively. Servers located on the west coast of USA will provide with top notch Californian hosting experience. Visitors dropping by on the site will involve less step, skips, and jumps! Shared website hosting, reseller website hosting and virtual server hosting is also provided. California Web Hosting location includes Los Angeles Web and San Francisco prominently. Customer queries are solved via live sales team chat. Prices for web hosting start from $ 5.95 whereas Reseller Hosting costs $ 25.95 and Virtual Servers cost $ 71.50 per month. Chicago hosting providers hosting options for north-central part of USA. Third largest city in the nation, Chicago is a preferred location for northern half traffic and faster connection to websites. Free trial and money back guarantee along with a team of hosting professionals keep the website running along with solving any queries. Chicago-based shared, reseller and virtual server hosting are enabled with Connection Speed Tester to estimate connection speed. Web Hosting costs $ 5.95, Reseller Hosting for $ 25.95 and Virtual Servers for $ 71.50 on a monthly basis. Texas is the best location situated in the middle of the country, and it gives the users a great central point for functioning. Shared hosting plans, reseller hosting plans and virtual server hosting plans offered with customization according to the website. 24/7 help via phone, help desk, e-mail and live chat provided. Web Hosting costs $ 4.95 and Reseller Hosting for $ 23.95 and $ 65.00 per month for Virtual Servers. Southeastern webmasters earn profits by selecting Miami, Florida as hosting location – hosting done from a financial, commercial and cultural destination. Choice of shared hosting, reseller hosting or VPS is provided. All types of websites hosted and trained technical experts to cater to both the customer service and technology that is used. Web Hosting costs $ 5.95 while Reseller Hosting starts from $ 25.95 along with Virtual Servers for $ 71.50 per month. Irrespective of client location, Michigan web hosting covers most of USA. Features like: Site Boost Option, Pre-configured caching for fast Turbo package, 24/7/365 Guru Crew Support, 99.9% Uptime Guarantee and Any time Money Back Guarantee makes Michigan web hosting one of the most preferred ones. Three plans: Lite, Swift, and Turbo, start from $ 3.92, $ 4.90 and $9.31 per month respectively. With quality services, reliable equipment, secured data centers, high-quality customer service and support staff, unmatched web hosting experience provided at affordable costs. Features like: 99.5% uptime guarantee, 100% power guarantee, 30-day money back guarantee on shared hosting, fast and easy setups, easy to use control panel choices, the customer is delighted with 24/7 support by online chat, ticket system, and phone. Special plan: Double Memory VPS Promotion includes 1GB RAM for only $ 6 whereas, Windows VPS with 1GB RAM is available for $ 8 per month. Reputed web hosting provider Arvixe has its server locations in Dallas, TX., USA. Currently, they cover (Amsterdam) and Asia (Hong Kong) and plan to spread out soon. Inmotionhosting has its data centers in Los Angeles, CA, and Ashburn, VA. And they take pride in being upgraded to Green Datacenters. iPage's data centers are designed to maximize reach and bandwidth capacity thereby enhancing performance. 24 hours staffing with interior and exterior closed-circuit television ensures data security. 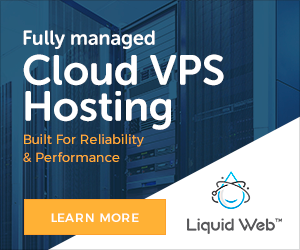 Liquid Web operates three private data centers in Lansing, Michigan, and Arizona. All are manned 24/7/365 by Heroic Support® experts and provide quickest response time in the industry. Thanks for the post. Looking for the different web hosting services then, get the services from gbnetwork. Thanks for sharing the details. If your thinking to get the minecraft servers then, get from MelonCube Hosting which is the high-performance servers.